Product #60718 | SKU R-ARM-01 | 0.0 (no ratings yet) Thanks for your rating! It connects the top plate with the baseplate for maximum stability and rigidity of the camera cage. This Tilta Side Arm for RED DSMC2 A1/B1/C1 Camera Cages is for use with the Tilta Camera Cages for Red DSMC2 – A1, B1, and C1. 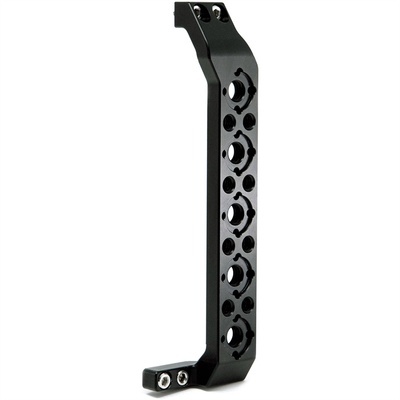 It connects the top plate with the baseplate for maximum stability and rigidity of the camera cage. The side arm is specifically a replacement piece for the various Tilta Camera Cages for Red DSMC2 since it’s dimensions were designed with the entire cage in mind.